Gluten Free Beat ®: Wowbutter! Peanut Butter Minus Peanuts?! 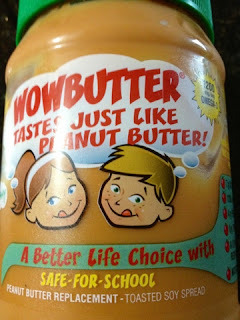 Wowbutter! 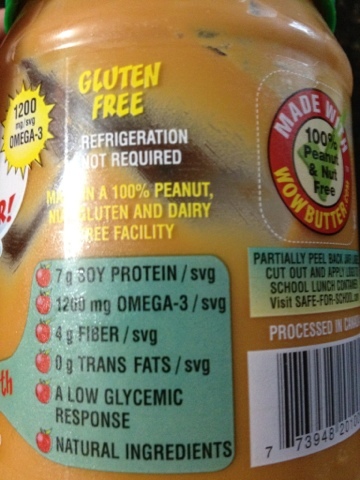 Peanut Butter Minus Peanuts?! In addition to being a Celiac, I am oh so lucky and have food allergies too! I've always had allergies, dust, pollen, grass, molds - not for me! But... after being diagnosed with Celiac disease, I decided to go back to my allergist and ask for a full panel of testing for food allergies. I was bummed with the results... Be careful what you ask for! Turns out I am now also not able to eat nuts (of just about any kind). I LOVE reeses, it's one of my favorites, and nuts of all kinds, especially chocolate covered nuts, oh so delicious.. so bummed. And peanut butter, I just love peanut butter. My fantastic boyfriend found WowButter, a peanut butter replacement, and immediately thought of me, so sweet. WowButter is quite impressive. Guess what?? It tastes GREAT! Shocking, did not think this was possible. - Read our allergen declarations. I've heard many stories of poor kiddos in schools with horrific peanut allergies getting terribly sick in school - so sad to think of. 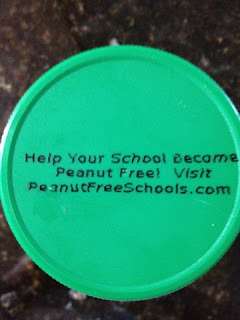 WowButter is a terrific alternative and trying to help schools become peanut free! the only problem with this is that its made from soy. and soy really isn't that good for you. i'd be happy to show you an article i wrote about it. in addition, many people have soy allergies, which they developed after taking dairy or some other allergen out of their diet. so i hope you'll proceed with caution because i'd hate to see you develop a soy allergy too! 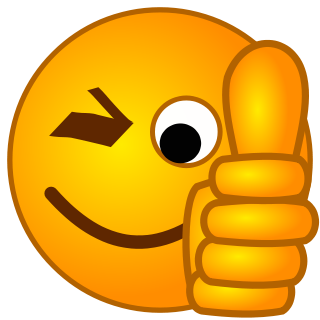 sorry if this wan't a nice comment. but maybe you could try sunbutter, which is made from sunflowers seeds? 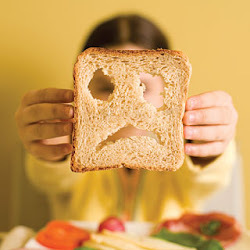 also, many times people develop secondary allergies after their gut has been harmed from gluten. but if you heal the "leaky gut" you might be able to reverse some of the allergies. good luck with it all. we use almond butter and I was told I should be allergic to it. I agree 100% when you fix leaky you be suprised to what you are not alelrgic to. Gluten Free Alcohol!! What's Safe? ?